"I love experimenting with recipes, and I came up with this one after a lot of experimenting with my favorite waffle recipe. These are more filling than your average waffles. I use aluminum-free baking powder. These are wonderful with homemade blueberry syrup." 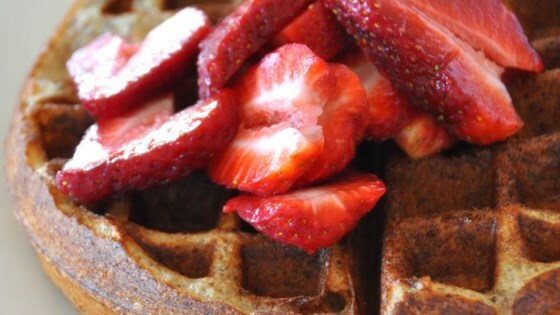 See how truly delicious whole grain waffles can be. Light, savory, and very very easy! I didn't have the flax seed meal or wheat germ, so just increased the flour a bit to compensate. And instead of the applesauce, mashed an over-ripe pear. This is the best! I made them exactly as noted and they turned out delicious. It's a keeper and a great way to eat healthy. Thank you!